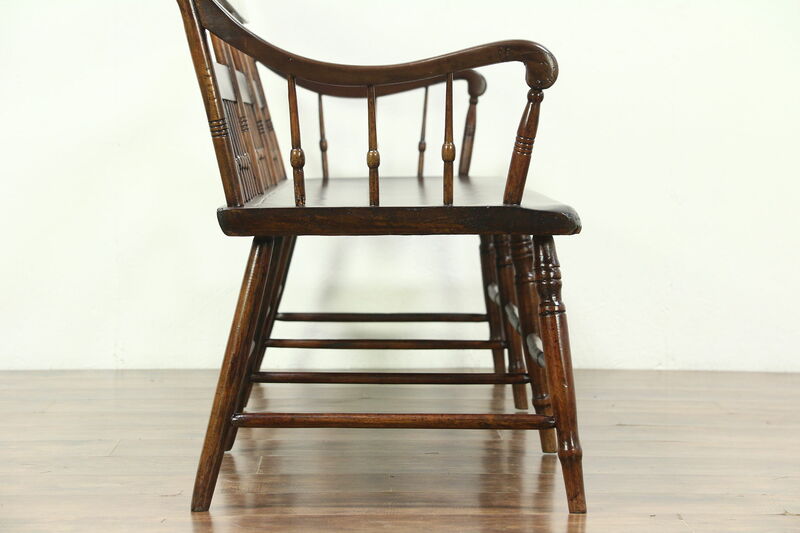 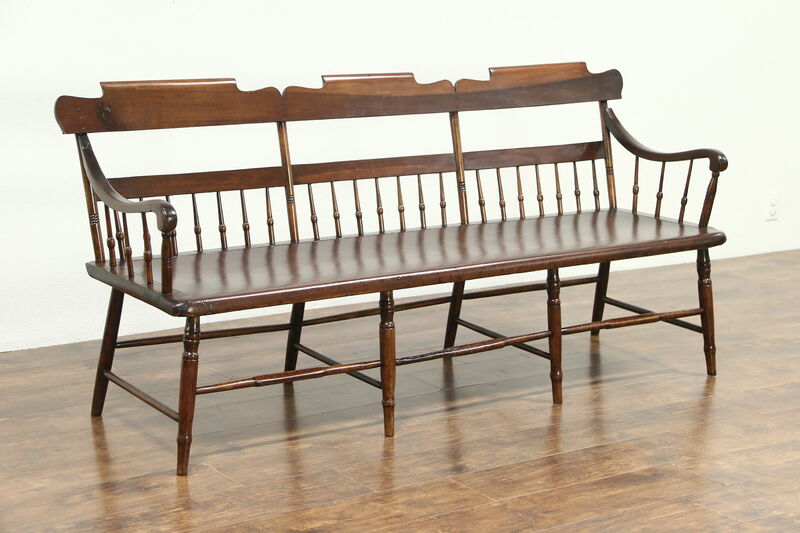 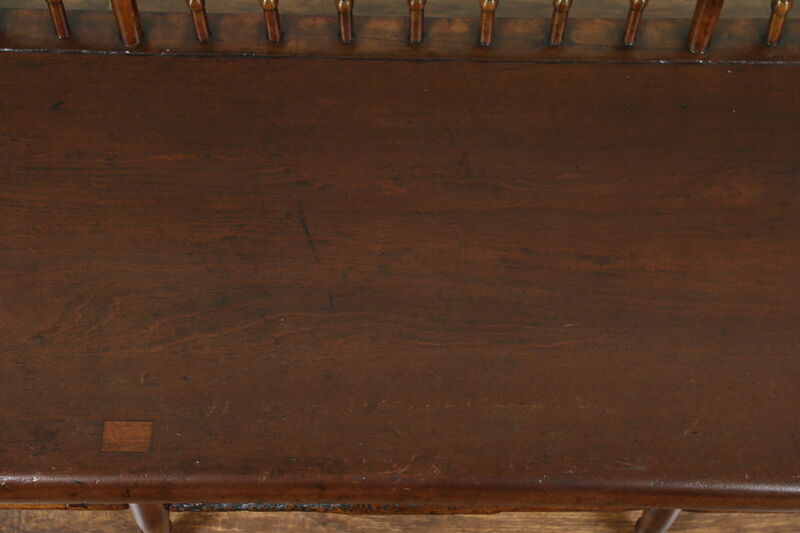 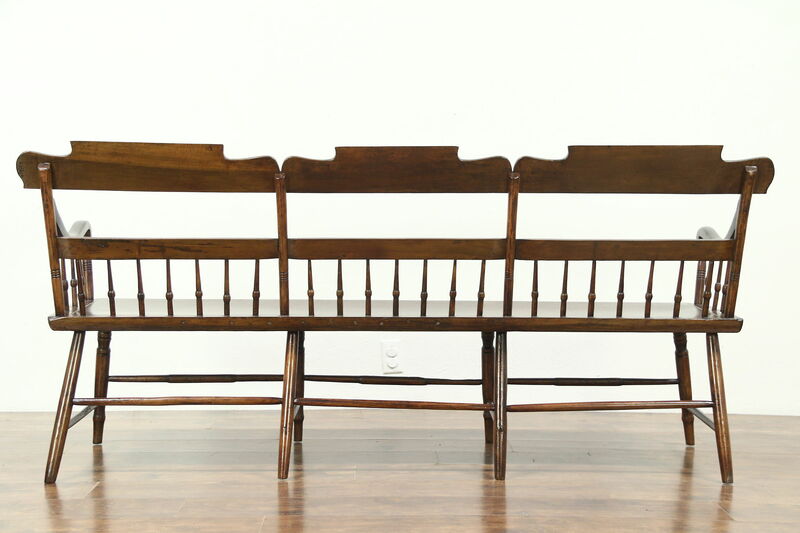 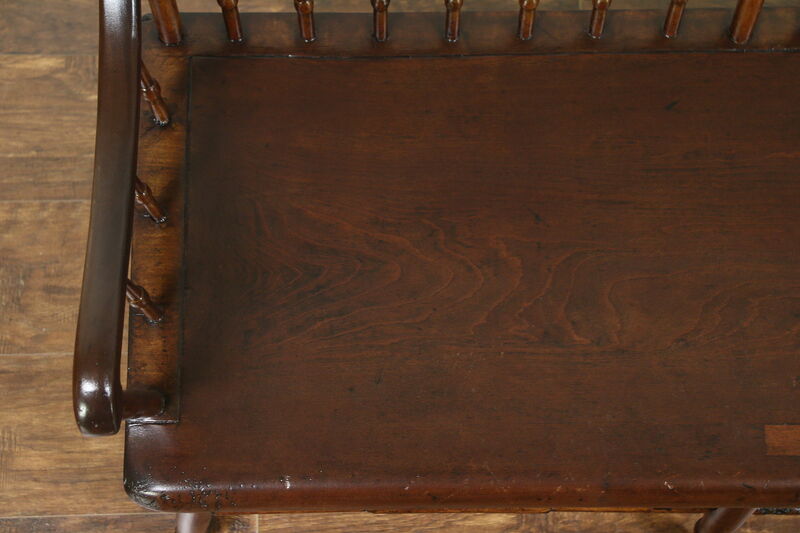 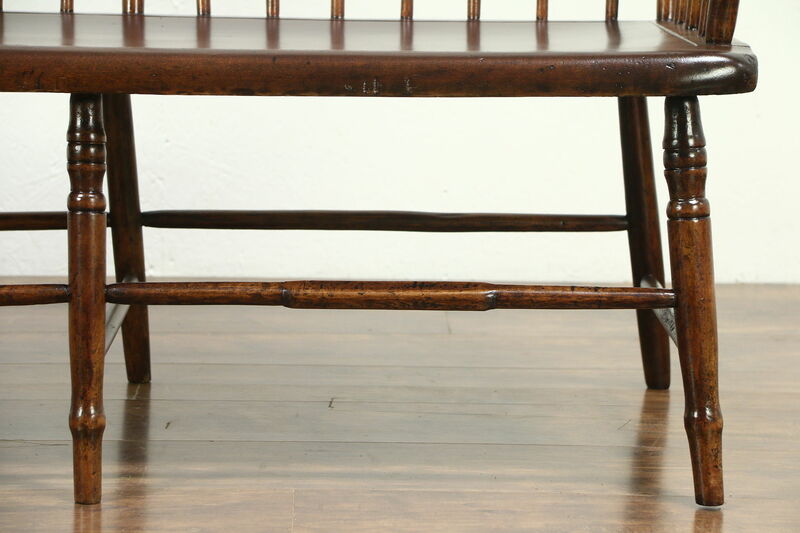 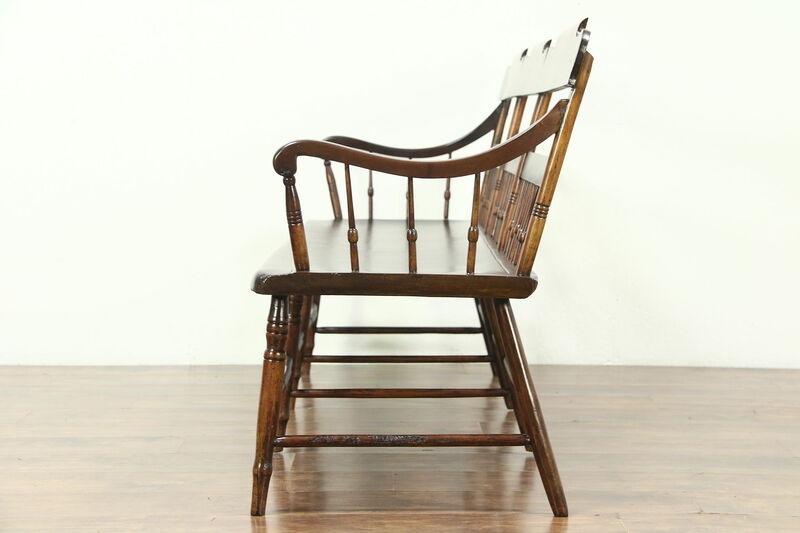 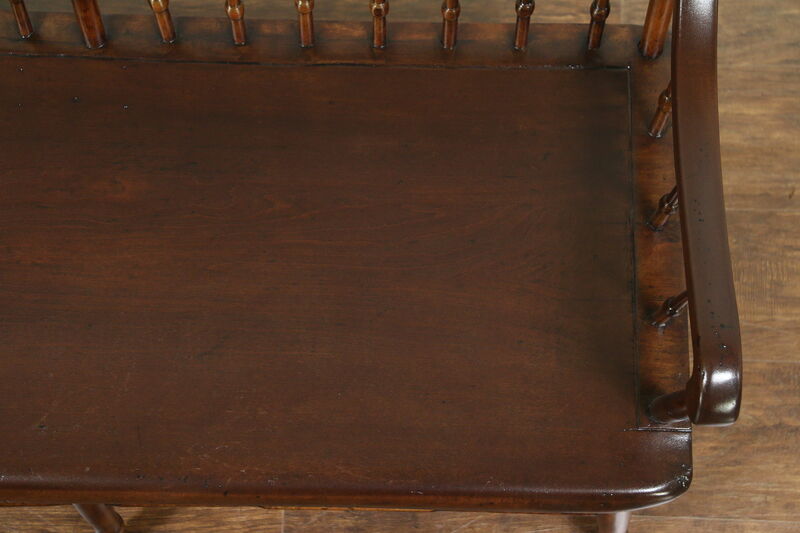 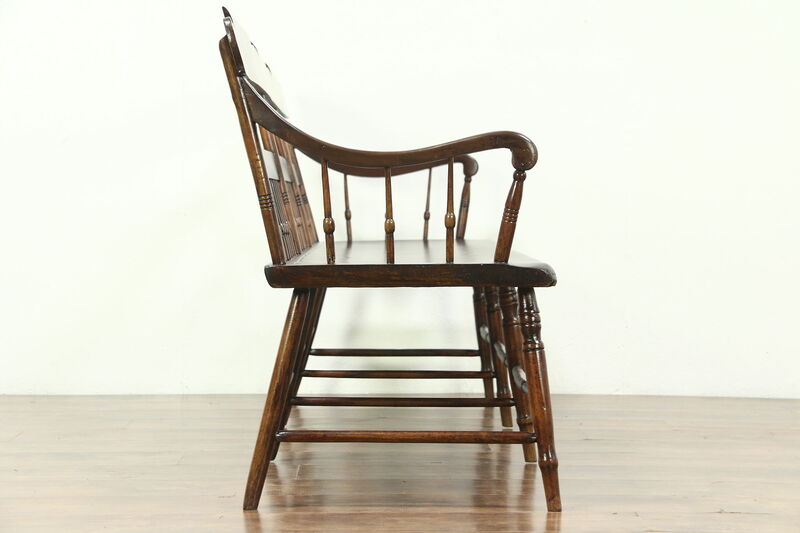 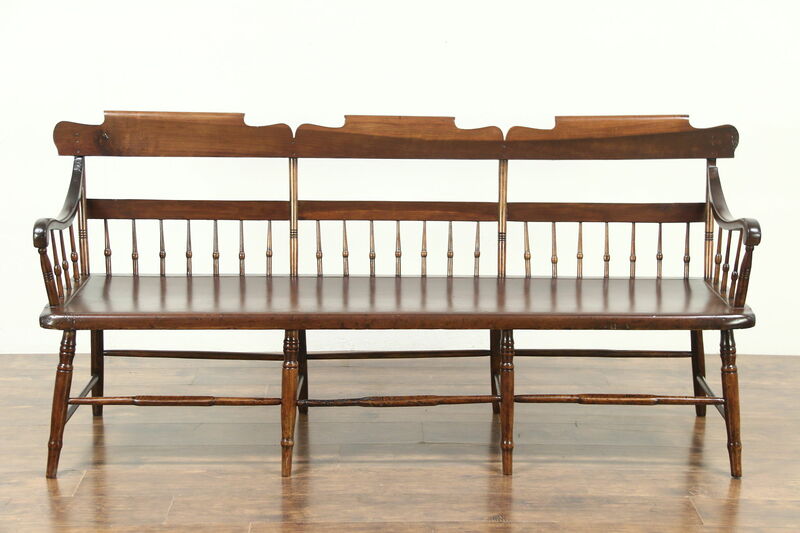 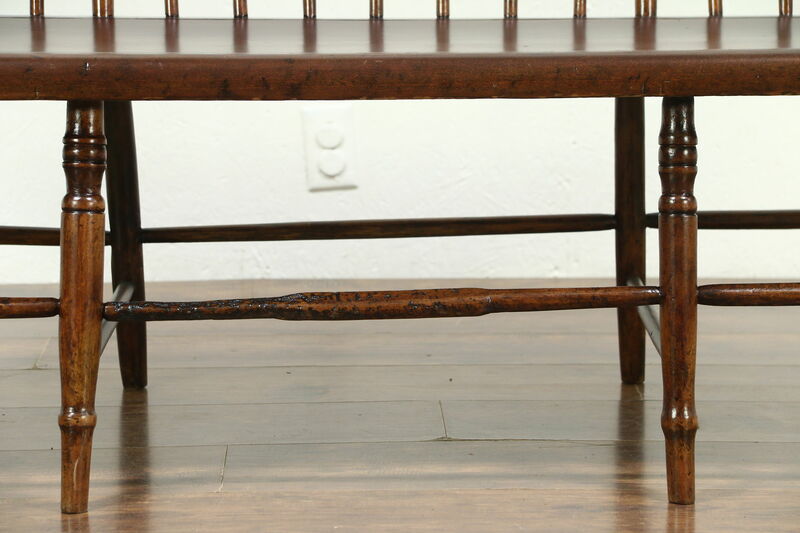 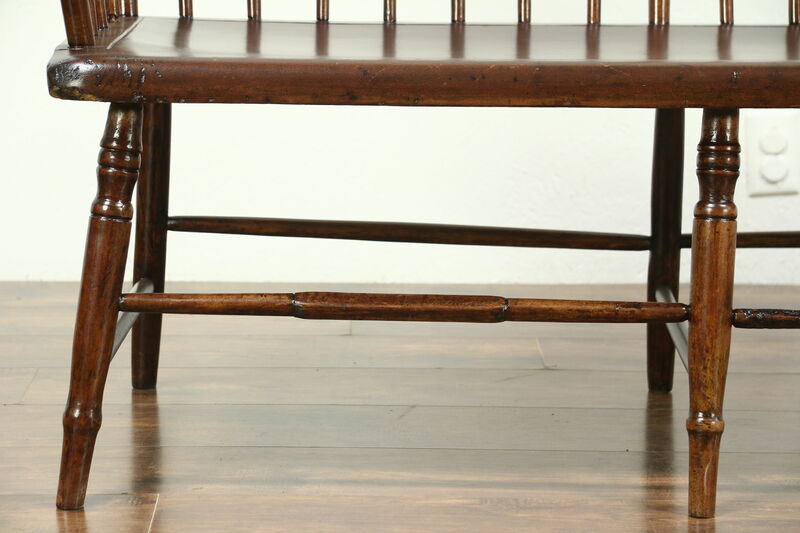 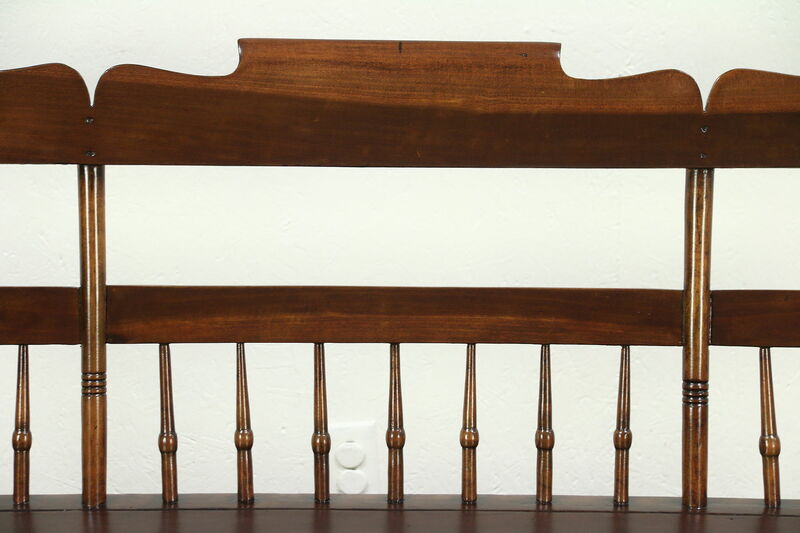 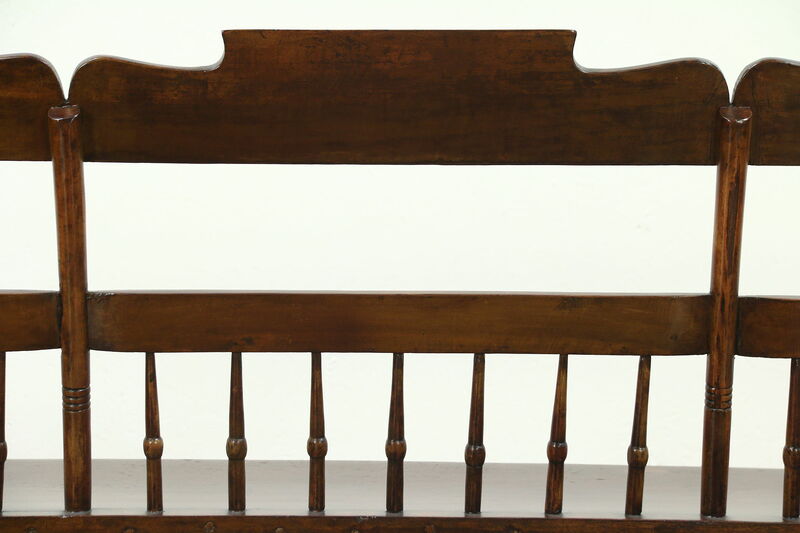 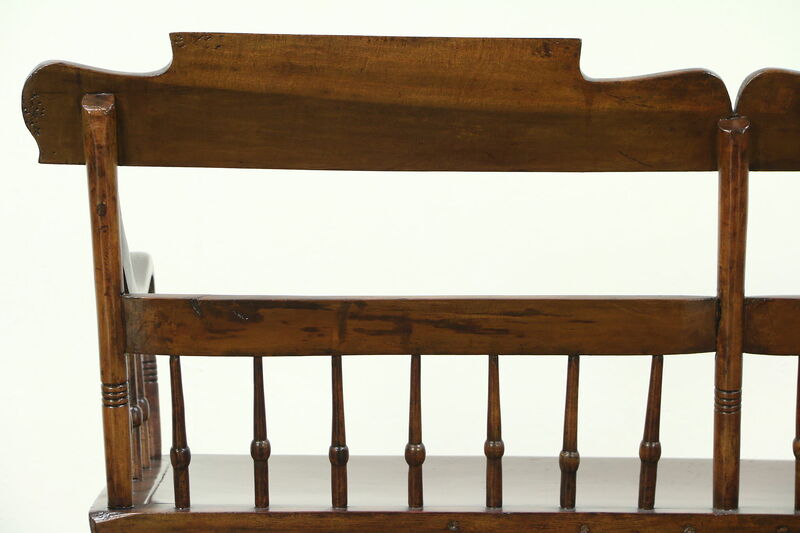 A "deacon's bench" or hall settle was hand crafted in New England around 1840. 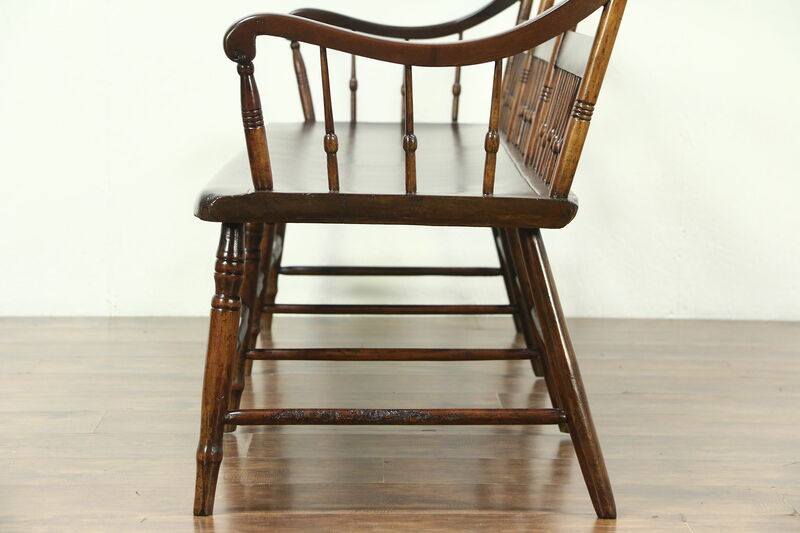 The restored finish is in very fine condition, preserving just enough mars, restorations and wear, including puppy marks, for antique character. 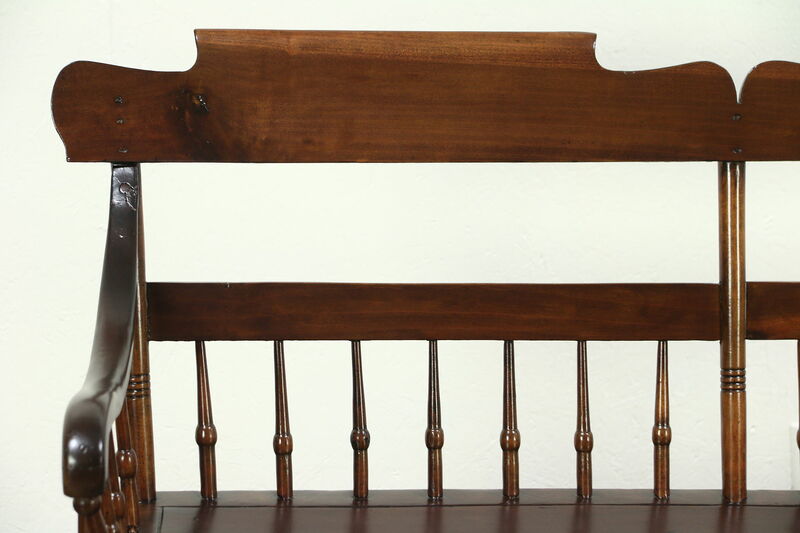 Solid pine, maple and poplar have the variations that show hand work. 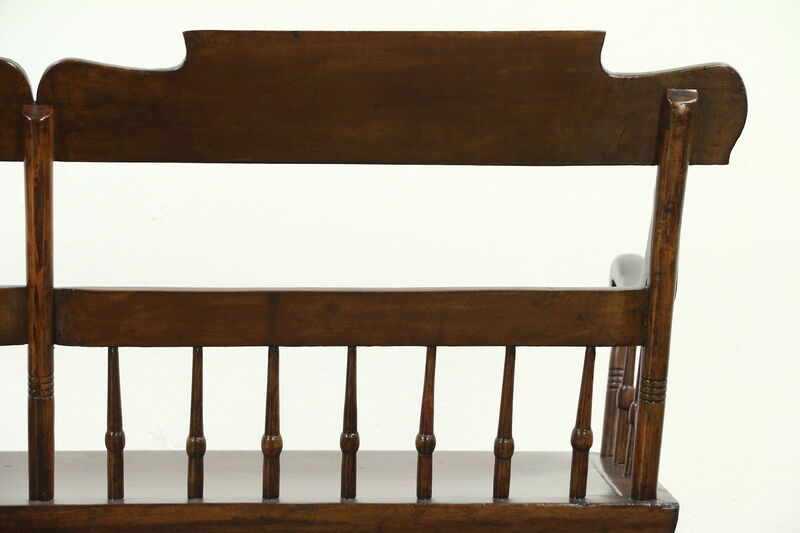 Reglued to serve another generation, the frame is tight and strong on this country antique furniture. 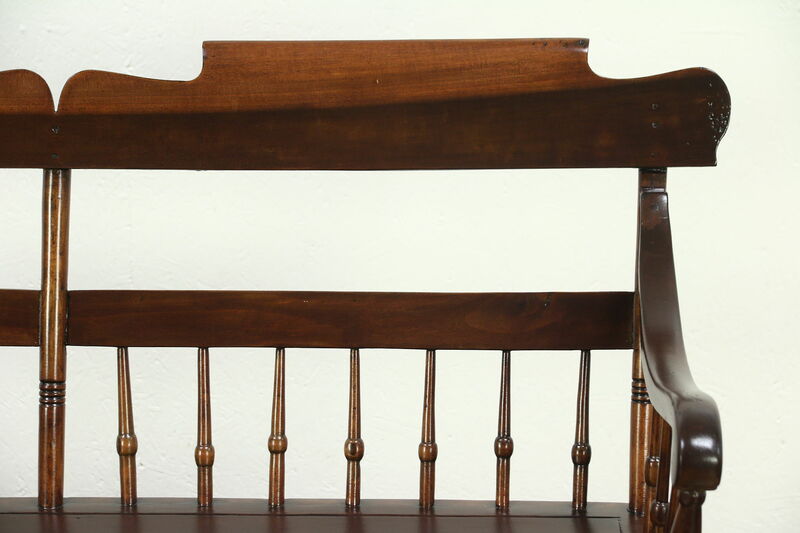 Measurements are 76" long, 23" deep, 34" tall and the seat is 17" high.